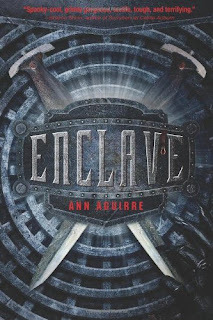 Title/Author: Enclave by Anne Aguirre. Synopsis:Welcome to the Apocalypse. 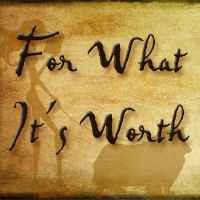 In Deuce's world, people earn the right to a name only if they survive their first fifteen years. By that point, each unnamed 'brat' has trained into one of three groups-Breeders, Builders, or Hunters, identifiable by the number of scars they bear on their arms. Deuce has wanted to be a Huntress for as long as she can remember. As a Huntress, her purpose is clear--to brave the dangerous tunnels outside the enclave and bring back meat to feed the group while evading ferocious monsters known as Freaks. She's worked toward this goal her whole life, and nothing's going to stop her, not even a beautiful, brooding Hunter named Fade. 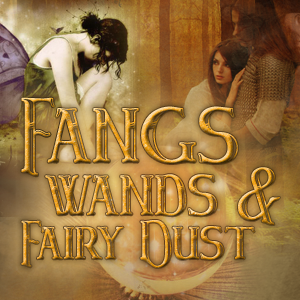 When the mysterious boy becomes her partner, Deuce's troubles are just beginning... ~Product Description. 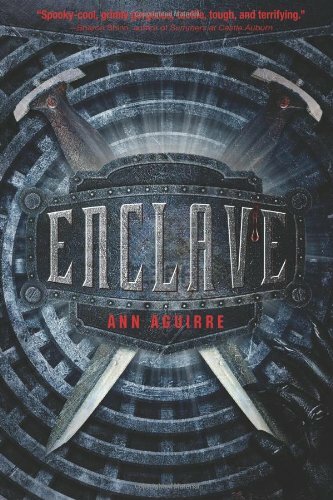 My Thoughts: Enclave is an entertaining and dramatic romp into a potential harsh future, told through 15 year old Deuce, who has only known life in her community or "enclave." She has a clear, straightforward voice and she knows her place in her world, or so she thinks. She has trained from childhood to be a Huntress and to obey her leaders, but then she faces some discrepancies and realizes that her position (and others in her community) may not be so secure. She starts to have doubts about the elders who make the rules and when someone she cares about is in jeopardy, she makes a brave choice. I feel her sacrifice is admirable especially in light of the fact that she has always wanted to be a Huntress and is proud that she finally has that title, yet gives everything up without blinking. 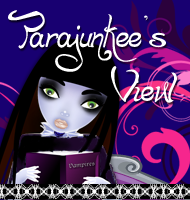 Her hunting partner is Fade, a boy with a mysterious past and a rebellious heart. But it is he alone who helps Deuce when she really needs it. I was surprised and touched that he stood by Deuce's side. He didn't have to and therefore he also made a sacrifice. The author paints a vivid picture of the life of the enclave citizens and their rules and hardships. I really like the fight scenes and it made me want to go out and take karate, or kickboxing or at the very least play World of Warcraft. 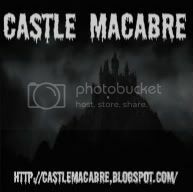 The details made the harshness and danger more real and I loved the descriptions of the tunnels, the Freaks and their surroundings. These details had me visualizing the scenes using sound and smell as well as sight. I enjoyed the turn in the story when the pair went Topside was clever as well. Deuce is leery of the enormity of the sky, the heat and brightness of the sun, the animals and the huge buildings. But she adapts quickly enough to be able to survive and thrive. I’ve read that some people had a problem that she adapted too quickly, but it didn’t bother me. Maybe her Huntress skills and training made her tougher than a person who wasn’t trained to protect herself. What I thought was fun was trying to figure out where they were through the clues that were described (the subways, Nassau, the library) and the items they found, (SPAM, canned cherries). There were some parts that I thought could be fleshed out a bit more. The romance seemed sudden, but it didn’t seem instantaneous and the bottom line is I believed it and enjoyed it. I also wondered about Pearl and Deuce’s suspicions about her. I thought there was going to be something more going on with her, but maybe I picked up on something that wasn’t there. Deuce's dealings with the two Topsiders they meet, Taegan and Stalker, is also interesting. These are people who have lived in a different environment, a different world really. But I enjoyed her relationship with Fade the most and I look forward to what becomes of all of them in the next book. I thought it was cool how Deuce's worldview changes from the start of the story to the end and I will continue to read this series. 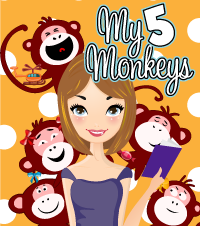 Happy to hear you enjoyed this book! Ann Aguirre definitely does a phenomenal job with the world building. I can't wait for book 2! I need more Fade STAT! On a side note, I think people underestimate how dangerous topside was. I think if it means life or death most people would adapt to situations way faster than they ever thought they could. Great review! 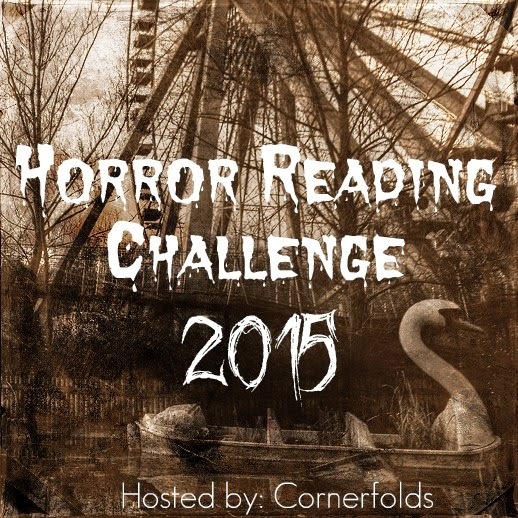 This looks good...have you read The Passage? FADE! *swoon* I thought their romance was believable too, and it really, really makes my heart ache to think of the possibilities in Outpost!